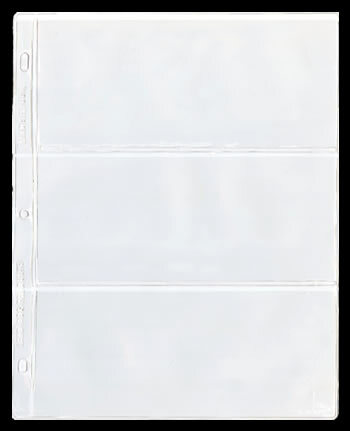 Use these vinyl album pages to organize your Banknote Collection. Their quality construction will keep your collectible paper money safe and looking great. 3 Small-sized (4 pockets) and 3 Medium-sized (3 pockets) pages fit standard 3-Ring Binders.